Europe has always been a leading country in the world on several grounds like its culture, heritage, economy etc. Another thing that adds an extra jewel in its crown of pride is its fashion. 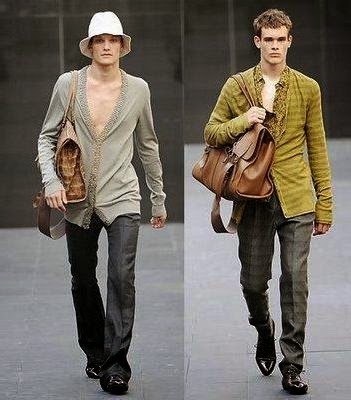 European fashion is simply unexplainable. It is innovative, trendy and classy. To large extent European countries are the style setters to the rest of the world. A discussion on European clothing trends is actually endless. Let us get a short overview here. The best part about European clothing trends is it is flexible. There is no rule to maintain for both male and female. All they count is comfort and attractiveness. A very much noticeable thing about European fashion is they hardly go for junk dressing. They like to keep it simple. When it comes to color most of European countries are found to be fond of solid colors however they never ignore experiment with colors. In addition to that another thing to highlight is the use of jewelry. In most of the European countries usage of jewelry or more precisely junk jewelry is very rare. Maximum a pair of earrings, a ring, bangle, watch and simple chain with pendent is what they mostly use. Now let us talk about boys dressing trend. Officially they are always suited-booted however in most European countries teenage boys are found in casuals. A jeans with T-shirt is the most common one. Cap is again the most notice worthy staff in their wardrobe. Another thing that enriches their clothing trend is the shoes. Europeans have great collection of shoes. Women are mostly found in heels whereas leather boots are men’s favorite. Do you think the simplicity and color combination is all that make them look trendy? Basically it is the fit of their dress that takes their beauty to the next level. European people have very skinny and lined figure and so they wear skin fit dress that not only enriches their beauty but set new trend as well. Jeans is the most common outfit for them. Solid colored jeans are something made for them indeed. Most of the European women are fond of slim or skin-fit jeans that highlight their profile. Avery common part of European fashion is scarf. It does not only used for winter but it gives a dress an absolutely elegant look. Silk and cotton scarfs are ordinarily used by both men and women.